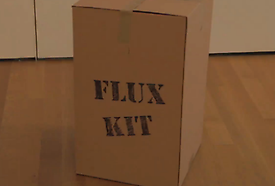 MoMA Case Study: Pope.L Inteprets "Fluxkit"
Last month, artist Pope.L spent a day at MoMA, exploring the collections of artists’ multiples on view in Thing/Thought: Fluxus Editions, 1962–1978. While he was here, he produced the above performance video, which incorporates the Fluxkit to incredibly humorous effect. His visit concluded a series of collaborations with visiting artists—some of them original members of Fluxus—who had been invited to select objects from the two Fluxkits on display, which are similar but not identical, and determine their arrangement. 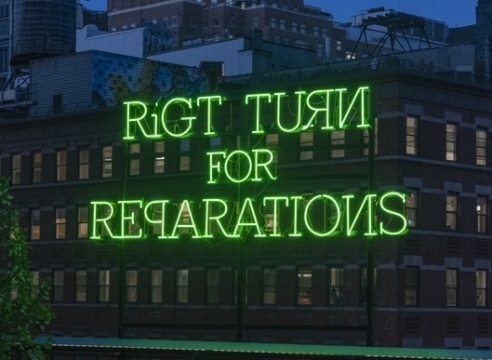 Since the late 1970s, Pope.L has produced innovative performances and installations, often tackling potent topics of race and inequality. His interventionist approach frequently involves the public; he interacts with communities, taking on the role of provocateur. At MoMA, Pope.L addressed the institutional paradigms of the Museum. His unconventional arrangement of the Fluxus objects is on view until January 16, when the exhibition closes to the public.